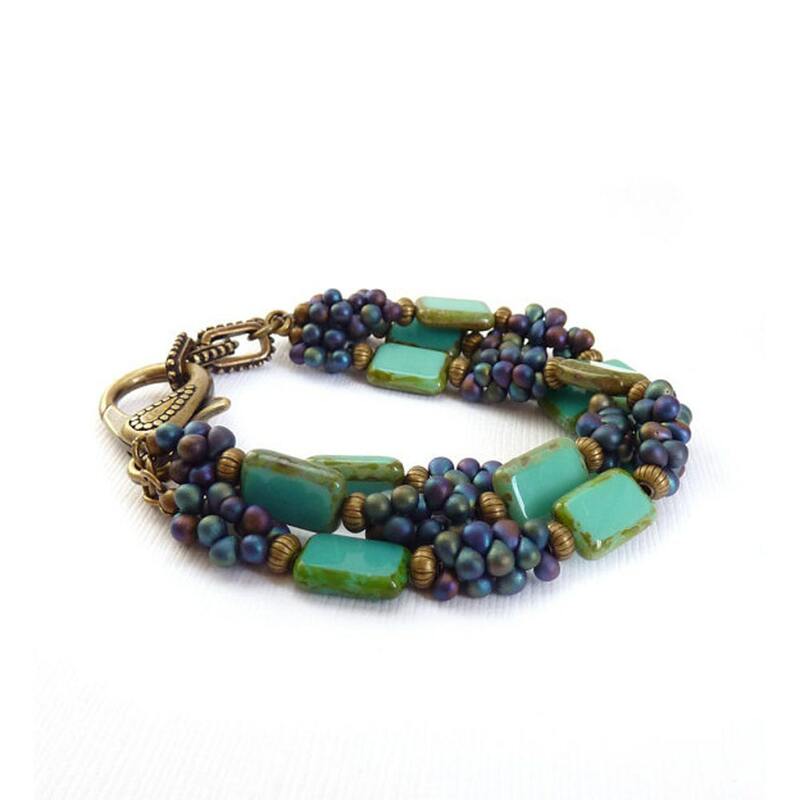 Triple strand bracelet made with opaque turquoise rectangular glass beads in a Picasso finish, separated by rows of indigo blue metallic seed beads. It's finished with a fabulous and funky bronze lobster clasp which also can serve as the focal point. **This bracelet was featured in Bead Style Magazine. Your bracelet will arrive in a gift box.